Damoder “Pati” Reddy understands better than most the value of education. It was education, made possible by his family’s sacrifices and his own hard work, that took him from a poor village in India to a successful career in California. He also credits his wife, Soumitri, for supporting him. After earning a bachelor’s degree in India, Pati came to Michigan Tech. “My father wasn’t rich; he had to scrape and borrow for me to come here,” he says. Patti received an MS in Civil Engineering in 1962 and then a PhD from Northwestern University. He returned to Tech to teach until 1969, when he moved to the Los Angeles area to work for Agbabian Associates, a firm that designed structures to withstand earthquakes and nuclear blasts. He has also made Tech the sole beneficiary of a whole life insurance policy. And he has two other policies designated primarily for their heirs. Should there be a claim, however, a portion would support two endowed funds established in his and Soumitri’s name: a fellowship and a scholarship benefiting students in the Department of Civil and Environmental Engineering. In addition, the Reddy family makes annual gifts to provide current scholarships and fellowships and to build their endowments. Learn more about how to give with an IRA rollover. Dan Rivard had a couple of distinguished careers at Ford Motor Company. First, he was the process quality overseer when “quality became job one.” Then, he was called out of retirement to run Ford’s international racing efforts, giving him entree to the pressure-cooker world of NASCAR, Formula 1, Indy cars, and World Cup rallies. Today, he and his wife are helping Michigan Tech students through the Dan and Carol Rivard Product Realization Center. A gift to the Department of Mechanical Engineering–Engineering Mechanics, the lab allows students to design, model, and fabricate new products, so they can gain practical experience in all phases of engineering. “We had twenty-two acres with lakefront that had appreciated significantly, and we sold the parcel to Michigan Tech for well below its market value,” he said. The Tech Fund was able to sell the land at a substantial net gain, and the Rivards also were able to show a profit on their investment. Their donation is helping students to shape their own futures, just as Dan’s Tech education and degree in mechanical engineering launched his extraordinary career. “I thought I was growing up to be a carpenter,” Dan says, recalling that he was the first in his family to attend college. He has become a builder, of course, constructing a great life, both personally and professionally, while supporting Michigan Tech in appreciation for the valuable “toolbox” it gave him along the way. “Normally, Judy and I prefer to keep our charitable activities, if not anonymous, certainly low key,” says Rudy Shunta. “We like to help out where we can, but the magnitude of our donations certainly doesn’t put us at the philanthropist level.” Nevertheless, the Shuntas agreed to “go public” to encourage others. “We wanted to share our belief that it is everyone’s responsibility to pass along their good fortune to those who follow them,” he says. Rudy paid his way through Michigan Tech in a multitude of ways. His parents helped, his uncle arranged for a summer job, and he received several minor scholarships. “I also had a fellowship as well as a teaching assistantship and a counselor assignment in Wadsworth Hall,” he says. With this help, Rudy earned a BS in Mechanical Engineering in 1962 followed by an MS in Engineering Mechanics a year later. Those degrees contributed to a successful career at General Motors and later at Dana Corporation’s Perfect Circle Sealed Power Division, where he was vice president/general manager. 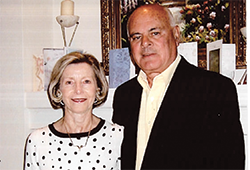 After Rudy retired, he and his wife began donating appreciated securities to fund the Rudy and Judy Shunta Endowed Scholarship, which supports undergraduate mechanical engineering students. “We are hoping that those who benefit from this scholarship will someday feel the responsibility to do the same as we have done. Good fortune is only a loan,” he says. Years ago, John Calder set an optimistic goal for himself. “I wanted to give Tech $1 million,” he says. “When I decided to do that, it seemed like an insurmountable mountain.” Now he is scaling the peak. The solution was a charitable remainder unitrust, or CRUT, which allows the Calders to avoid capital gains taxes. “It will give Joan funding to live on, and when we are both gone, the principal goes to Michigan Tech,” says John. 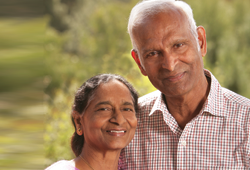 They also give through a universal life insurance policy and are longtime annual supporters. *Please note: Since your unitrust benefits may be different, you may want to click here to view a color example of your benefits. It’s the helping hand that pulls you up the most when you need it, and Grant Nuttall has never forgotten the hands that have helped him. The retired oil executive and his wife have established the Joseph A. Romig Annual Memorial Scholarship, keeping an important mentor’s name alive and helping the next generation of entrepreneurs. When Grant Nuttall decided to leave Imperial Oil-a colossus of an energy company in his native Canada-to further his education at Michigan Tech, his family had some concern. Grant and Maureen-whose career was also with Imperial-have been paying it forward throughout their lives. Grant has been mentoring for a number of years at a local school for troubled children in Naples, Florida, and Maureen has now joined him. As they give to their local community-splitting the year between Ontario and Florida- they have also sought to make a difference in the lives of students at Michigan Tech. “When I started giving back to Tech, it was nothing huge, but what we could do every month,” Grant explains. The Nuttalls-who are McNair Society members-decided to remember Grant’s mentor with their giving, establishing the Joseph A. Romig Annual Memorial Scholarship. But why give now, decades after paying your last tuition bill? Grant and Maureen make it back to Houghton occasionally, and their relationship with the School of Business and Economics has grown stronger over the years; they have made provisions in their will to further support Tech and the School of Business and Economics. When you hear A.E. Seaman, you might think of the A. E. Seaman Mineral Museum. But for John Seaman, A.E. was grandpa. And honoring his late grandfather, founder of the museum, is why John (Jack) and his wife Phyllis support the museum in a big way. Fondly known as “Prof”, A.E. was a true gentlemen with a bubbling sense of humor. “He was quite the kidder! Growing up in Houghton, my sister and I used to hang out in the museum [at the time located in Hotchkiss Hall] and help him,” Jack recalled. Geology and Michigan Tech are traditions in the Seaman family. Both A.E. and Jack’s father, Wyllys, were Michigan Tech alumni and faculty. “My father was a student of my grandfather’s and actually got his master’s degree before my grandfather,’ Jack chuckled. A.E. Seaman chaired the Department of Geology and Mineralogy and founded the mineral museum in 1902. He served as museum curator until his death in 1937. Wyllys Seaman served as curator from 1943-1948 and many other Seaman family members went on to graduate from Michigan Tech. 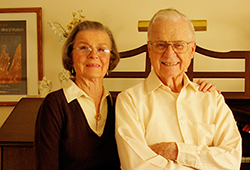 For Jack and Phyllis, it’s important to foster this family legacy. Jack’s career went into a different direction. He attended Michigan Tech long enough to spur a career in tool and die making. Jack went on to work with skilled German machinists, specializing in toolmaking. His career took him to the West Coast, where he met Phyllis. Phyllis, too, enjoyed a productive career; first with Eastman Kodak and later in banking. 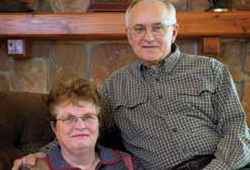 In the early 1970s, Jack and Phyllis made their first contribution to Michigan Tech with a gift of stock. With Phyllis’s enthusiasm, the Seamans continue to support the museum through a combination of annual and planned gifts. Nationally and internationally recognized, the A.E. Seaman Mineral Museum is the largest public exhibit of minerals from the Great Lakes region and is the official mineral museum of Michigan. Exhibits change and improve continually, as the museum strives to educate the public about minerals and their relevance to society. And just like A.E., the museum preserves mineral heritage for future generations. Just last year, Phyllis and Jack enhanced the museum’s footprint, providing for a garden to be enjoyed by the campus and local community. Jack calls it “Phyllis’s Garden,” paying homage to his wife’s avid green thumb. He traveled from their home in California to Houghton for the garden’s dedication ceremony. Most recently, Jack and Phyllis worked with Karla Aho, Director of Gift Planning at Michigan Tech, to establish a charitable gift annuity and a substantial endowment to support the museum. Jack, 96, and Phyllis, 88, have been ballroom dancing partners since they met on the dance floor over 50 years ago. Today, Jack makes time for photography, browsing on his iPad mini, and playing the organ. Phyllis enjoys working in her garden back home and is glad “her” Michigan Tech garden is in full bloom. “I’m in total agreement with our support of the museum. At this age, I enjoy watching other people do the work!” Phyllis said, smiling. The A.E. Seaman Mineral Museum—a place where Jack once ruffled through his grandpa’s paperwork—has a solid funding base for its future, thanks to Jack and Phyllis Seaman. Michigan Technological University is something of an Elliott family tradition. Dale Elliott, his older brother, two brothers-in-law, a sister-in-law as well as a niece and her husband all went to school there. Elliott earned an MBA from Michigan Tech’s School of Business and Economics in 1979 and he has served on both the business school’s national advisory board and the President’s Advancement Council. He is also a Life Trustee of the Michigan Tech Fund. Now he and his family have pledged $1.1 million in scholarship funding to help deserving business students—particularly first-generation college students—benefit from a Michigan Tech education. “In today’s world, there are some very deserving young people who just need a helping hand,” he explains. Elliott, who was the midyear Commencement speaker last December, currently is CEO of FCM Advisory Group, a consulting business he established. Prior to that he was President of the Global Bath & Kitchen Business for American Standard Companies and Chairman, President and CEO of Snap-on Tools for many years. At Michigan Tech’s Dec. 20, 2014 Commencement, he was awarded an honorary doctorate. Mechanical engineering students at Michigan Tech may benefit from a scholarship established by the late William Robinson, and his daughter, the late Patricia Hall. Filling out financial aid paperwork before the first year of college can be stressful. Thankfully, a number of aid options are available to most students, including grants and scholarships. This support is made possible through the generosity and foresight of a great number of donors. For students in graduate school, the options are much fewer. Last year, around 87 percent of master’s students at Michigan Tech were self- funded without University financial aid, mirroring nearly identical numbers seen around the country. While loans are available to help cover expenses, a helping hand is most welcome for those in advanced study. Lina Taskovich, a 1952 Tech graduate, established the Natale and Maria Luisa Tormen Endowed Scholarship to benefit students from Ecuador or Italy, the two nations making up her heritage. Without a significant student population hailing from either Ecuador or Italy in the undergraduate ranks, financial aid staff and the Graduate School were informed by John Gierke of the Department of Geological and Mining Engineering and Sciences about a graduate student who would benefit greatly from Lina’s generosity.